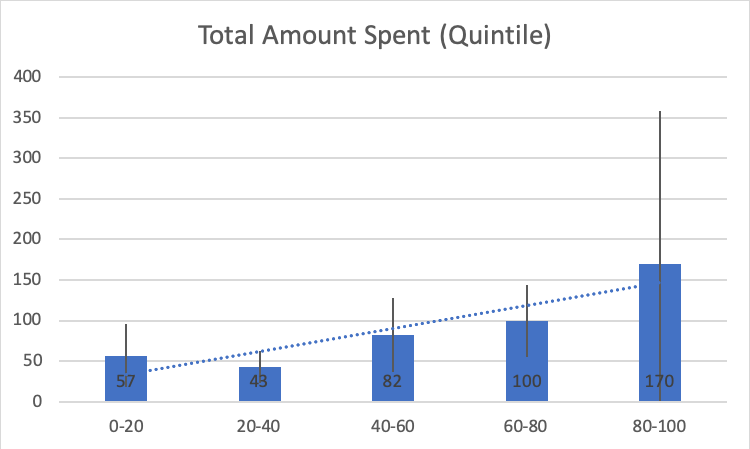 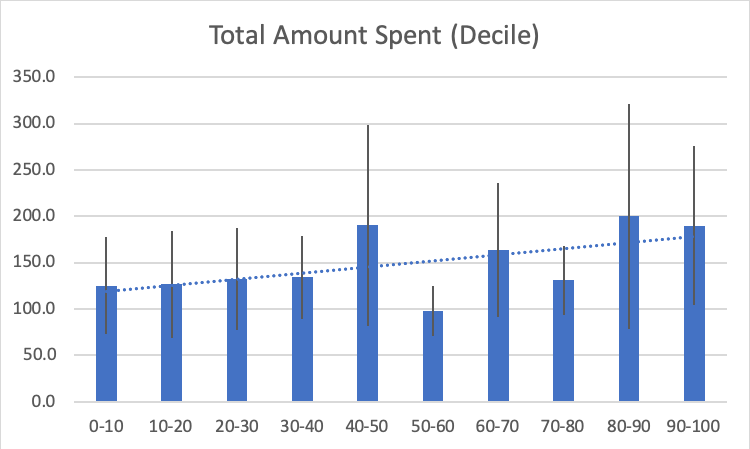 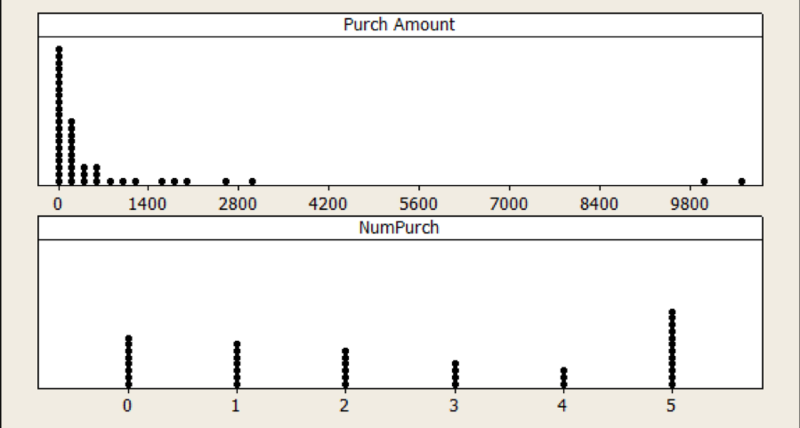 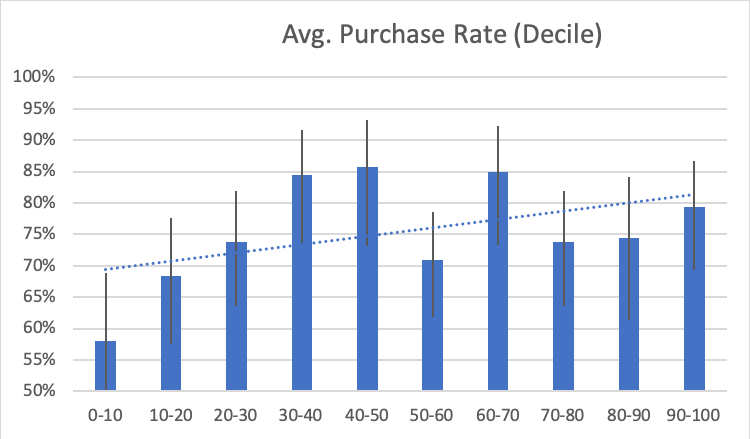 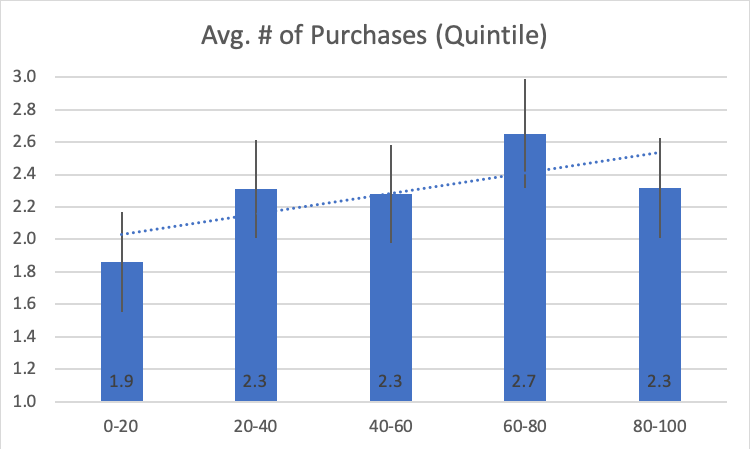 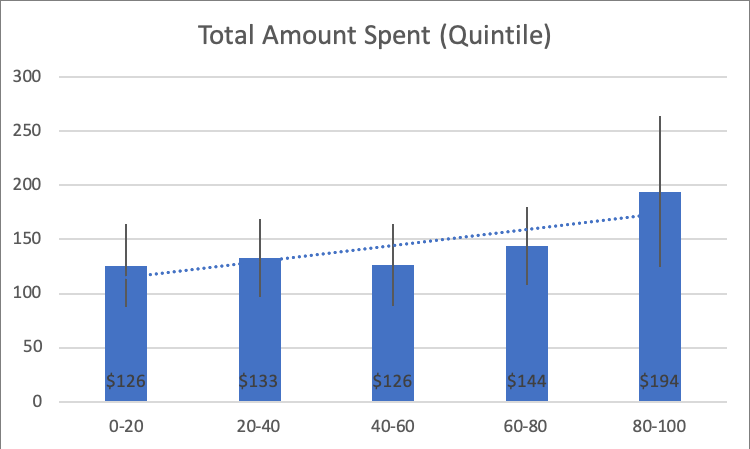 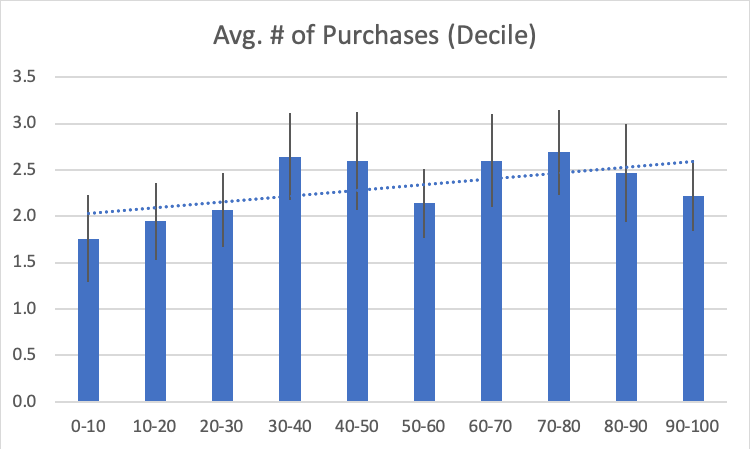 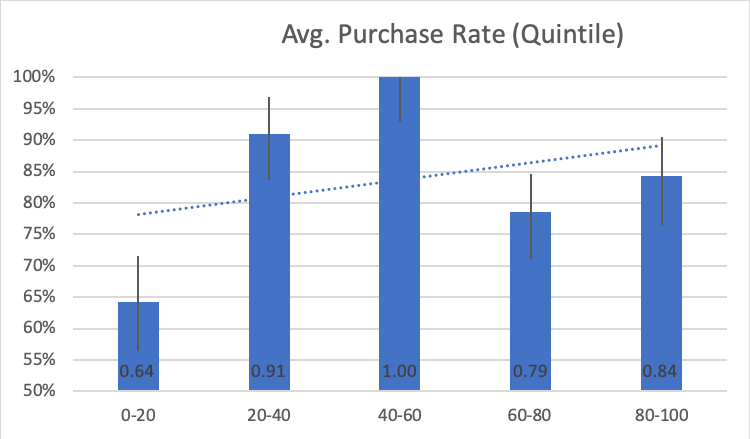 Figure 6: Average SUPR-Q scores by quintile for purchase rate (r = .37), number of purchases (r = .74), and amount spent by raw SUPR-Q score quintile. 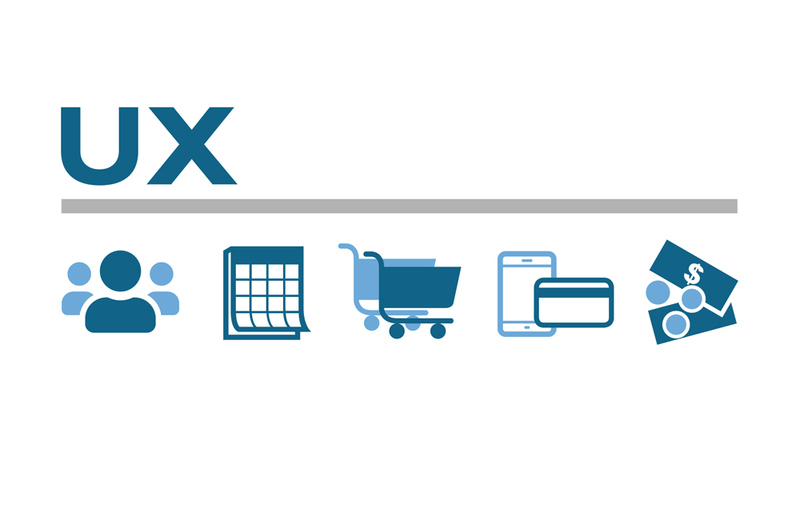 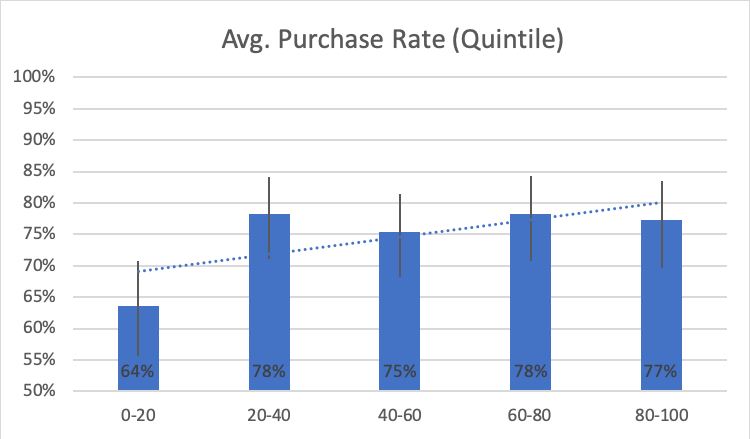 For example, eBay users who rated their experience in the highest quintile spent about three times as much ($170 vs $57; p = .32) and purchased about twice as much (3.1 vs. 1.7; p = .06) compared to the lowest quintile. 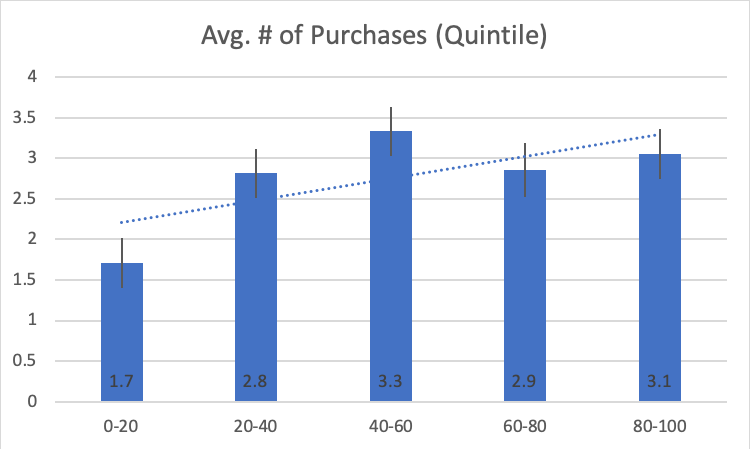 Table 2: Correlations between SUPR-Q quintiles and purchase behavior by website and in aggregate (including deciles for aggregated websites).